Highly doubtful they will rebuild. Believe it or not, we still have New York Yankees branded Marcal Yankees Hankies tissues from when we lived in NJ a quarter century ago. My wife informs me we still have unopened boxes of same. leftwing: from yesterday….. there is no “smarter” this time, just new names and faces……. lather, rinse, repeat. I wonder what would happen if China implodes, and then suddenly there is a societal “margin call” and mass liquidations happen, and cash needs to be repatriated. Yup, it’s always a surprise that takes it down. This scenario would actually help Americans at the expense of the Chinese. If they are forced to sell, American investors will be licking their lips, waiting to catch that falling knife. They would take complete advantage of the Chinese weak position. Jewish lightning. They used this fire to move to a cheaper state, but who knows. Sure seems like it. Remember how the Japanese drove the market up and were then taken complete advantage of. I’m sure the same fate is coming for the Chinese down the road. Perhaps a worker did not want to go outside to smoke cigarettes? 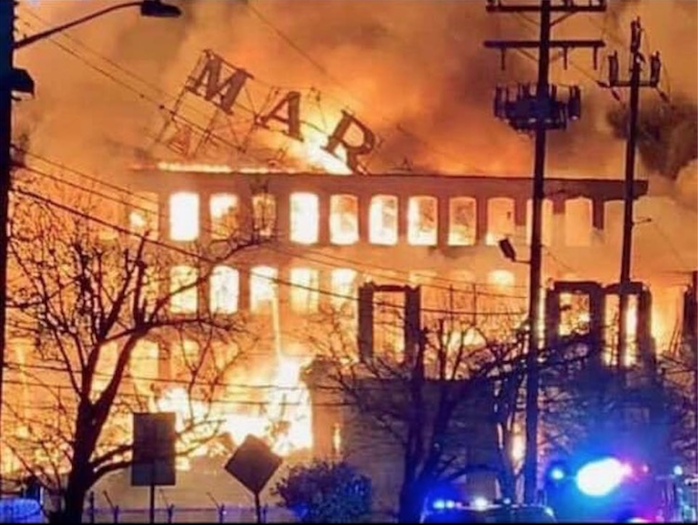 News reported many fires at Marcal over the years including one caused by lightning in 2016. During a storm, Elmwood Park firefighters responded to the Marcal Paper facility on Market Street at about 3 a.m. to find part of the structure’s roof on fire, Borough Fire Chief Mike Pressler said. Pumps that was the Japanese purchasing commercial real estate in prime locations like Rockefeller Center at the time those were called Trophy properties. It wasn’t a double wide in Passaic county hinterlands. St. Barnabas Hospital spokesman Steven Clark said that the lawsuit was without merit. Went to grad school with a guy who married another grad student from China. Father in China purchased a $600k home for them. A lot of them aren’t speculating, they are parking it in hard assets with no intention of flipping. It beats holding your money in yuan and treasuries are a waste of time for them at this point. Yeah, agree chi. Particularly prescient to add the ‘professionals’ to the constantly rotating queue of newbie enablers. Red doing alright. Clarkson split didn’t hurt them, still holding 9 in the pairwise. “The Federal Reserve’s monetary tightening hasn’t just paused; it may be over. I would think the real family of the person who died may be entitled to damages. I wonder how hard the hospital is going to work to find out his true identity. How many 33-38 year old MD’s have no idea what is about to hit them? Just praying that they can get an extra 12-36 months out of this cycle so they can make some of the money others have booked. The Red really fcuked it up. Friday was the warning shot when they pulled it out of their a$$ and Shafer got c0cky and started the back-up goalie at home and it cost him. The Red have Clarkson twice, Union twice and Yale in New Haven. That’s the season right there. I hope they get a chance in Quinnapiac in Lake Placid at full health. You know how I feel about this current cycle (best economic boom of our lifetime and prob will never see it again….willing to even say the best and longest economic boom ever). So interested to see your perspective and what I’m seeing wrong. You really think prices are out of control at this point in the cycle? I don’t know, I feel like we are smarter this cycle, most likely from the psychological damage that occurred from the last bust. Instead of speculating, people seem to be overly cautious, to the point they self-correct (not true correction, but knock it down enough) the equity and housing market almost every year. I just don’t see wild speculation out there, I see no euphoria, I just see ultra cautious moves with investments. This is what I see, maybe I’m totally off. Would love to hear your thoughts as you are older and wiser than me. They seem to have control over this. Slow and steady growth. Nothing crazy, which limits the risk of bust or recession. “If the Fed thinks it’s done even if the economy performs as expected, that raises another, troubling possibility: that the neutral rate, adjusted for inflation, is only about 0.5%, compared with 2% in the past. In the last six weeks Mr. Powell does seem to have shifted his views on inflation risk. He seems to have concluded that the lowest unemployment in 50 years isn’t going to push inflation back above 2% anytime soon, and that would be a prerequisite to tightening again. Banks and smaller companies that were among the market’s laggards last quarter have helped stocks to their best January in 30 years, a sign investors are favoring sectors tied to the U.S. economy. 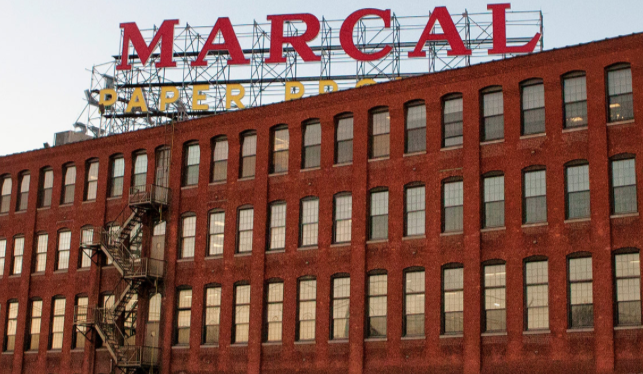 Going to be difficult for Marcal to get financing to rebuild. It is owned by a private equity shop out of Greenwich, Connecticut. The guys aren’t going to us their own money. Will be interesting to see if an apartment developer goes for the site. My guess is a warehouse developer buys it along with Marcal owned land across I-80 and builds 2 warehouses. NJ warehouse market is one of hottest markets of any property type right now. romantic relationship. discover no counter-top choice for the age group ranges plus extra weight unquestionably the standards to gaining a deal with having a [url=https://500px.com/Asiame]asiame.com[/url] not elite even (will be the fact a new interval if consumers still fighting around semantics?) covering product and furthermore having a good deal pistols at your disposal. you have to say that you carry no idea genuinely sharing. a lot of pounds 400 excessive and never fought against that you, rrn addition to clearly not passing english language courses to the point of not really having a firm golf club grip all on your own position in a quarrel, relentlessly contradicting your. wipe that cheetos pull out your own pc [url=https://about.me/asiame]asiame[/url] along with realize that you won’t earn the issue, if you lost it with the users own, destruction utilizing sign to the head elegance. predicting. what if cease grinding [url=https://www.youtube.com/watch?v=fA0zCCicIRI]asiame scam[/url] league in legends all the time or make a change making use of life. you could possibly wont appear well downcast in addition to the upset rather than supposedmething I. Have a nice evening hours. I don’t bring value to this blog….right. You demanded a specific call, I said buy all the apple and Amazon you could…. Amazon reported its third record profit in a row, capitalizing on a strong holiday retail season and its growing, high-margin businesses like cloud computing and advertising. And don’t come discount that call either. I was calling to “buy” when there was massive amounts of blood on the streets. Nuff said. I don’t care about the short term. I understand that future generations won’t know Apple as a “phone” company….here lies the wisdom in the call. They are a well equipped juggernaut in an era some term the “second guilded age.” They are the best managed company in the world. The long term numbers will follow. Amazon is right there with them. Both companies have been written off, left for dead, and rose from the ashes. They know what it takes to adapt and change like no other. I have no doubt in my mind that they are safe long term investments.